You can see specific details on each product when clicking on the banners below, they help explain more about the ‘Real Quality of Genuine Yamaha Spare Parts'. We offer thousands of YAMAHA motorcycle parts to repair or restore your YAMAHA vehicle to original factory condition. Genuine Parts ensure safety of the rider and are supported by YAMAHA manufacturing quality standards to achieve maximum performance of your vehicle all the time. Engineering is at the heart of everything we do at Yamaha, and we believe that oil is the lifeblood of products. 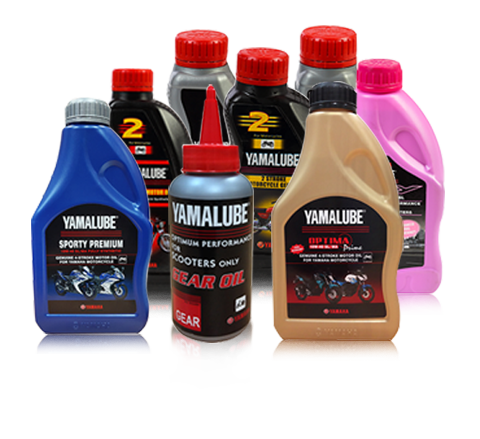 That’s why Yamaha developed Yamalube® – a range of oils, lubricants and care products designed to help you get the best experience from your Yamaha Land and Marine product. We want every journey you make to be filled with excitement and satisfaction, and Yamalube® helps to keep that spirit alive. Your safety is our top priority, that is why YAMAHA helmets are made with high-end technology to protect your head in case of any accident. The 3-layered protection in YAMAHA helmets safeguards your head by softening the force of impact. These helmets not only protect your head but are also quite stylish. How do I choose a correct helmet? What is the helmet standards test? How is a helmet build on the inside? Why do you have to put on a helmet?